*WOOT! * Huge congrats and thanks to the Octo-crew - the Octonauts won an ANNIE for "Best Animated Television/Broadcast Production For Preschool Children" and an EMMY for "Outstanding Writing in a Preschool Animated Program" ~ We're currently busy working on more fun underwater adventures. Stay tuned! Happy 10th book birthday to "Sea of Shade"! 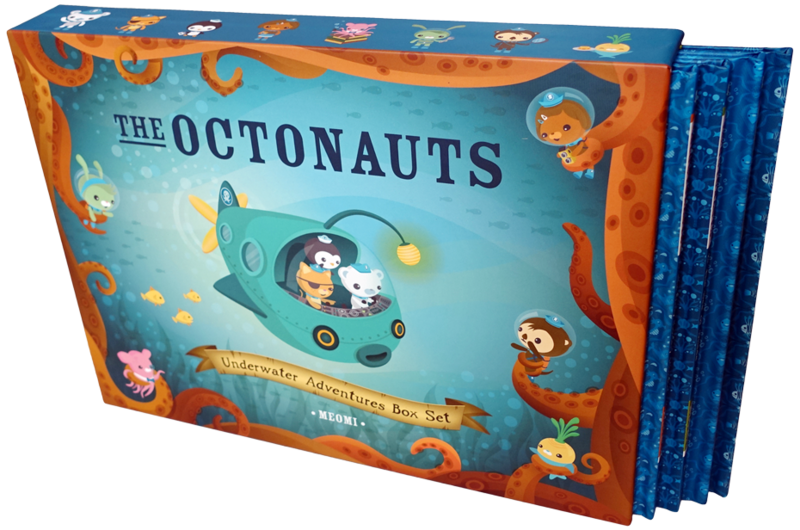 We're excited that the first four original Octonauts books are now available in a lovely new box set. Season 4 of Octonauts TV is airing world wide and the octo-verse continues to expand into themed hotel rooms, play centers, live musical theatre and more fun toys. Octonauts books are now available in Korean, while Hungarian and Chinese books are coming out in 2018. Woot! We've also been working on a project close to our hearts: "The Toughlings" for the Floating Hospital for Children in Boston. We created art for hospital walls, an activity book, web and more. See some images in our portfolio! 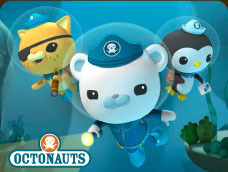 The Octonauts animated TV series follows our crew of intrepid explorers as they adventure under the ocean! Currently in its 4th season and airing world wide, follow the Octonauts facebook or Twitter for news. The Toughlings for the Floating Hospital for Children in Boston. "You don't have to be BIG to be STRONG!" Preview in our portfolio! Meomi illustrated a series of fun jigsaw puzzles for Djeco Preview in our portfolio! Squirrel tea, snail garden, and critters galore! One of the neatest things we've ever worked on - Meomi helped adapt the Octonauts GUP designs for a roller coaster. Preview in our portfolio! We love paper crafts and had so much fun designing a collection of printables for Canon Pixmatown! Preview in our portfolio! We animated a fun music video for children's show Yo Gabba Gabba's "Space" episode. View it on our Vimeo page! 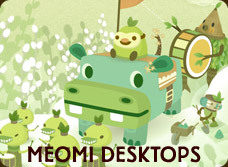 Meomi designed themes for iGoogle and gMail. Teahouse Fox, Ninja, Aja Aja Tiger and more! Preview in our portfolio!